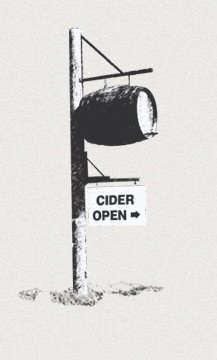 Use of any functionality the New Forest Cider website constitutes acceptance of the Terms and Conditions. Please be assured that any personal information provided by you is confidential and will not be passed on to any other companies or organisations that are not affiliated with our online business. New Forest Cider reserves the right to amend these Terms and Conditions without notice at any time. Your continued use of this site after changes are posted will constitute your acceptance of the changes to these Terms. You must be aged 18 or over to purchase alcohol. It is an offence to sell alcohol to anyone under the age of 18 in the UK. When ordering and making a payment you will be required to confirm that you are aged 18 or over. We make every effort to ensure that the information on this website is correct. However, New Forest Cider take no responsibility and shall not be held liable for any information relating to a third party that is incomplete, inaccurate or out of date. Even where your payment is accepted by our systems, no contract shall exist until New Forest Cider has dispatched the items to you. New Forest Cider will not be held responsible for any loss, consequential loss or damage to any individual or business which may have occurred from the use (or misuse) of any product or any information contained on this website. Online payment can only be made using credit/debit cards through Paypal. VAT is charged at the current rate and is included in the cost of all applicable products. Card payments are made through a secure server. New Forest Cider does not store your financial details. Your personal details are not passed to any third party. If your card company refuses to authorise payment to us, we shall not accept your order, and will not be liable for any delay or non-delivery. New Forest Cider Ltd reserves the right to refuse or cancel any orders. Any orders made via the phone or by e-mail are dealt with in the strictest of confidence and are carried out by trained personnel only. Financial details are not stored and payment will be taken at the time of ordering. All handling of personal data in this way is carried out in a professional and secure manner. Once the order has been fulfilled personal data is disposed of securely. We strongly advise against providing financial details in an email format. For order enquiries via e-mail contact would be made via telephone to complete the transaction. All orders placed before 1pm Monday to Friday, excluding bank holidays, will be processed the same day and delivered by courier within 2-3 working days. Orders placed after 1pm may be processed the following working day, usually Monday (unless a Bank Holiday) if placed on a Friday. Orders placed on Saturday or Sunday will be processed on the next working day. New Forest Cider Ltd use Chase Freight Courier as a delivery agent. Chase Freight delivers throughout the mainland UK. We offer a standard delivery rate of £7.50 per box. You should note that it might not be possible for delivery to be made to some remote locations and an additional charge for special delivery or to certain locations may be applicable and in these circumstances. New Forest Cider Ltd will contact you to discuss your order and delivery arrangements. Should the courier be unable to deliver part or all of the order due to there being no one present at the address, the order may be delivered to a neighbouring alternative address, or safe place. The courier will make every effort of informing you where the delivery has been made. Any items returned to New Forest Cider Ltd due to non delivery / collection will only receive a partial refund to cover the transport costs of returning the items to New Forest Cider. We shall not be liable to pay any compensation to you, other than a refund of the value of the damaged goods. Customers accept responsibility for the safe storage and use of the products upon receipt. New Forest Cider is not liable for damage caused by customer mishandling. If you change your mind you may cancel your order for any reason up to and including 14 days from the date of your order, provided all the products are unopened and intact. Returning goods - If you are not satisfied with the goods in any way please contact New Forest Cider Ltd on 01425 403589. We will refund the price of the order within 30 days from the date of cancellation provided that the returned goods are received. Any carriage cost is the responsibility of the customer. If the Item(s) is delivered damaged or defective New Forest Cider Ltd will not have any liability to you unless you notify us in writing by email of the problem within 2 working days of the delivery of the Items. This does not affect your rights of cancellation as above. Items damaged during carriage will be refunded in full or a replacement sent. New Forest Cider Ltd strives to deliver products in the best possible condition and true to the product description. If for any reason we have not endeavoured to deliver the best service we would like to hear from you. Complaints are taken very seriously and we endeavour to respond to complaints as soon as possible. New Forest Cider is committed to protecting the privacy of our site visitors and customers. We will not disclose information about our customers to third parties except where it is part of providing a service to you - e.g. arranging for a product to be sent to you, carrying out credit and other security checks and for the purposes of customer research or where we have your express permission to do so. New Forest Cider does not collect Personal Information about you, except when you provide it to us. When you submit your Personal Information you will be asked to consent to the processing and transfers of your Personal Information. If you would prefer that we don’t collect any Personal Information from you, please do not provide us with any such information. We will use the Personal Information you provide us only for the purposes of processing your orders and responding to any comments or questions you have. We may use the information you provide in aggregate (non-personally identifiable) form for internal business purposes, such as generating statistics and developing marketing plans. We may collect, store or accumulate certain non-personally identifiable information concerning your use of newforestcider.co.uk, such as information regarding which of our pages are most popular and general website administration. From time to time we may also use your information to tell you about our products, promotions and special offers that may be of interest to you, by email, mail or by telephone. In particular, we may look at what you have previously ordered in an attempt to tell you about promotions that will be of particular interest to you. We will only use your information in this way if you specifically ‘subscribe’ to receive news and product information from us. We will not hold on to your personal data for any longer than is necessary for the fulfilment of the contract between us, unless you have subscribed to marketing preferences. Once this contract has been fulfilled your personal data will be disposed of in a secure manner according to our data retention and deletion policies. All content included on this website, unless uploaded by users, including, but not limited to, text, graphics, logos, icons, images, sound clips, video clips, data compilations, page layout, underlying code and software is the property of New Forest Cider our affiliates or other relevant third parties. By continuing to use the Website you acknowledge that such material is protected by applicable United Kingdom and International intellectual property and other laws.